We have sent messages around the world and into space, but communicating underwater remains a challenge. How and why do radio waves allow us to talk to submarines? Salt water absorbs sound waves making it very difficult to communicate underwater. 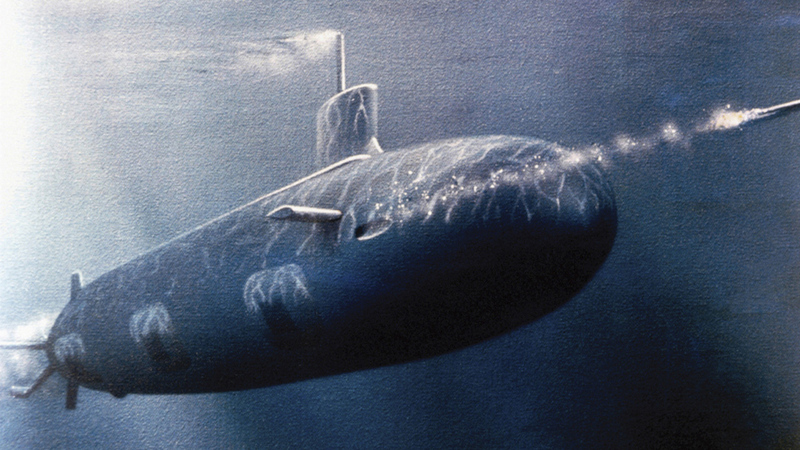 Submarines use radio signals to communicate, and must modify the wave lengths once submerged. Submarines use very low frequency (VLF) radio waves, and extremely low frequency (ELF) radio waves. The messages must be brief because of the low frequency of the wave, but extending the wavelength means that the wave will travel further. Mankind has developed ways to communicate throughout the world, and even with shuttles in outer space. But one of the biggest challenges has been how to get messages to the depths of the ocean to submarines. The concentration of salt in the ocean reflects or absorbs the energy of incoming wavelengths.